Apple's iPhone 5 might have been missing from the firm's Let's Talk iPhone press shindig at its Cupertino HQ, but news iOS 5 is on the way will have gone some way to placating those who already have an iDevice in their pocket. As detailed by Cook and co. on the big stage, the new version of the OS will roll out to consumers on October 12. As a resullt, Apple has begun accepting app submissions for the firmware, giving studios exactly a week to ready their titles. 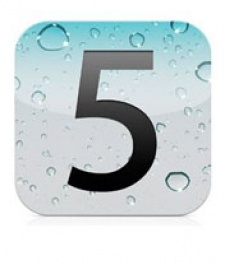 Previously, developers had been barred from submitting apps for iOS 5 via the firmware's beta SDK tools. The release of iOS 5's golden master in the small hours this morning, however, gave studios the green light to push their apps in Apple's direction, with the giant looking to muster a wealth of iOS 5 ready titles in time for its roll out. Apple's iPhone 4S - naturally shipping with iOS 5 already equipped - will hit the shop shelves in most major territories in the west two days later, before launching across the rest of Europe and parts of South America on October 21. When Matt was 7 years old he didn't write to Santa like the other little boys and girls. He wrote to Mario. When the rotund plumber replied, Matt's dedication to a life of gaming was established. Like an otaku David Carradine, he wandered the planet until becoming a writer at Pocket Gamer.